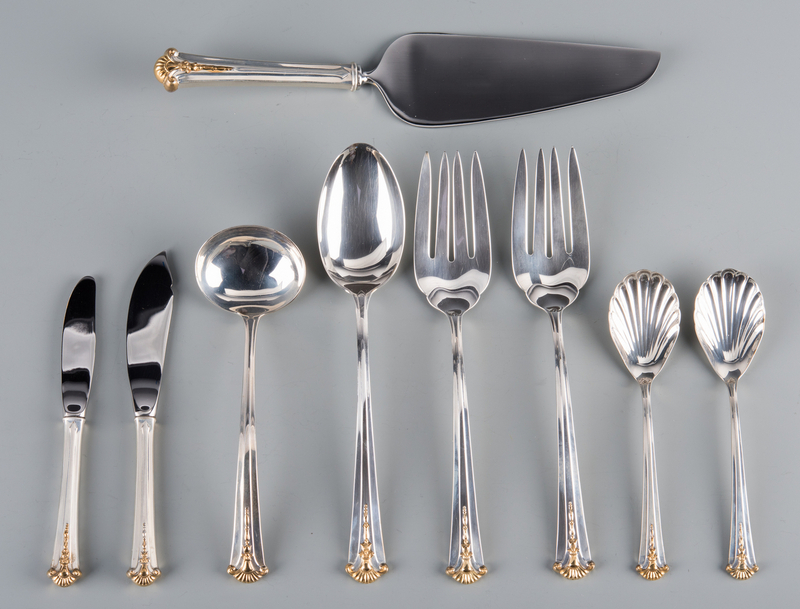 9 pieces of Kirk-Steiff sterling silver flatware in the Severn pattern, with gold accents. 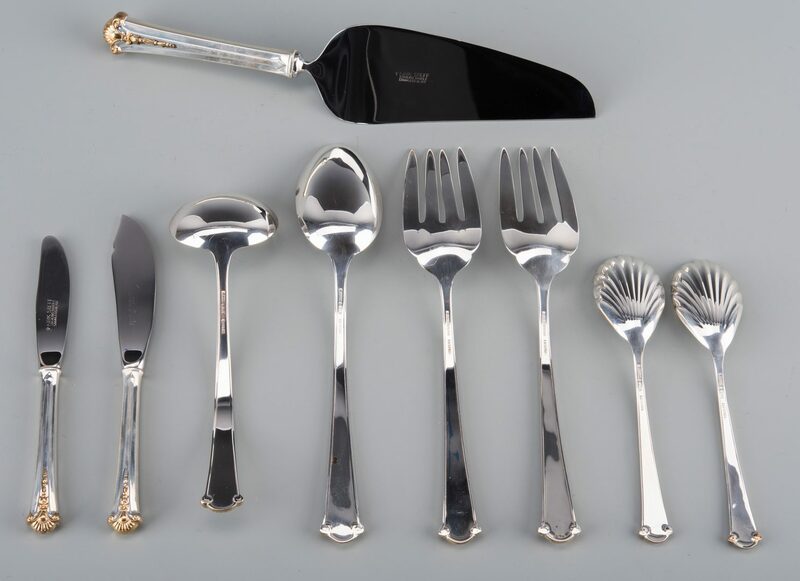 Includes 2 serving forks, 1 serving spoon, 1 pie server with stainless blade, 1 gravy ladle, 2 sugar shells, and 2 hollow handle butter spreaders. 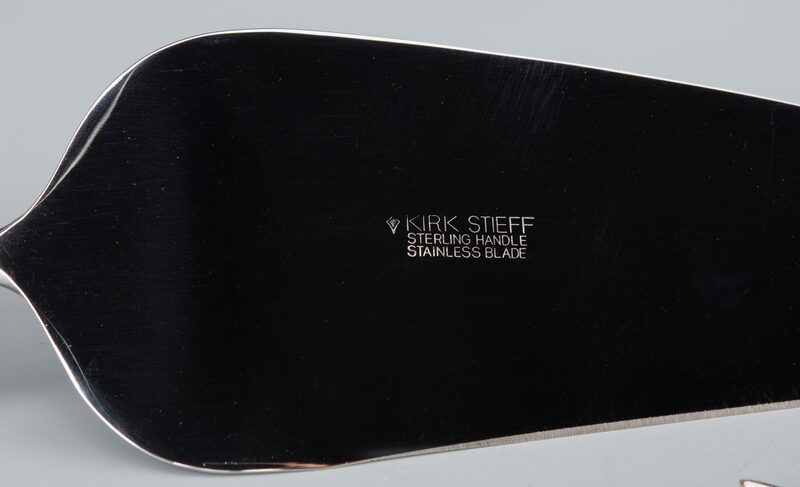 Weight 11.78 oz troy (excluding items with stainless blades). CONDITION: Mint condition.